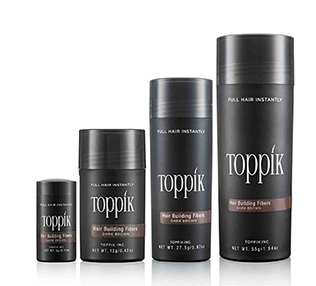 Get the look of fuller, thicker hair with any of these Toppik products. 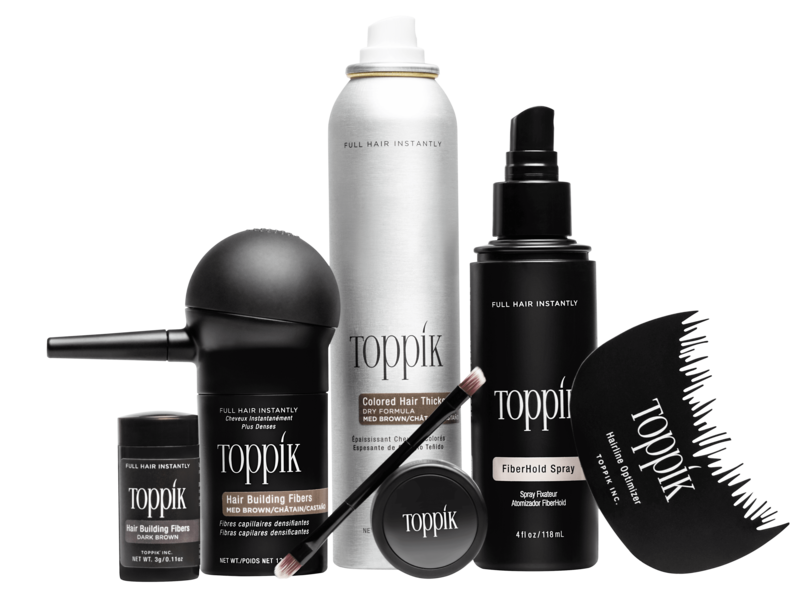 Whether you’re looking for hair thickening products or products to give hair volume, Toppik offers a full line of thinning hair solutions. Colored Spray instantly covers roots and grays between colorings. All of your Hair Fibers essentials. 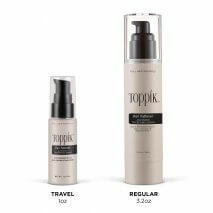 Instantly conceal scalp show-through and make thinning hair look full and thick with this colored spray. Strengthens thin, thinning, or damaged hair for healthy hair growth. This moisturizing conditioner creates a fuller look and feel for thin or damaged hair. Daily healthy hair care set for fine, thin, or thinning hair. Hairline Optimizer Use when applying Hair Fibers for a natural-looking hairline.